Hidden cameras by definition do their best work when no one can tell there is a camera watching them. No one is more famous for this kind of stuff than James Bond or Tom Cruise in the “Mission Impossible” movies. Private Investigators and law enforcement agencies worldwide have been using hidden cameras for years with great success. 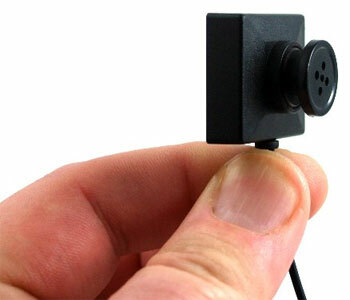 More recently businesses have been using hidden cameras with great success as well. There was a craze on NBC especially of using a hidden camera to try and catch on-line predators of underage girls who are actually undercover female police officers. I guess it makes for good TV even for NBC. Couldn’t get into it myself and dislike the peacock network immensely-another story. Hidden cameras have a long and glorious history in spy agencies like the CIA and regular governmental law enforcement agencies on the local, state and federal levels. They all discovered long ago the power of an audio and video record of wrongdoing in legal proceedings. It provides irrefutable evidence of what happened. It is powerful evidence-maybe the best. Let’s face it they can’t be everywhere 24/7 so hidden cameras provide another set of eyes for them. For many applications a surveillance camera or system is fine and can do a great job. When you need an undercover application nothing is as good as a hidden spy camera. They come disguised as many items that are a common as the day is long. There are thirteen models that have built in DVR’s-ten that are stationary and three that are portable. The ten stationary models include an exit sign that is perfect for any retail, business, and warehouse or office situation. The others include an alarm clock, boom box, tower fan, desk lamp, two wall clocks, an electrical outlet, an air purifier, and lastly an air freshener. These all are ultra easy to use. Basically point and start recording with a remote. Then to playback use the SD card in your computer or the RCA cable to your TV. These three high tech tools are the perfect solution for the professional Private Investigator or undercover law enforcement official. They also are the answer for any situation that demands a solution like a domestic violence dispute or office harassment situation. When you need to see what is going on when you can’t be there for home, office, business, as an uncover operative or professional investigator these hidden spy cameras with built in DVR are a foolproof way to do it. As always technical support is available at no extra cost. This entry was posted in Home Improvement on January 18, 2014 by admin_z.